Offer intelligent document management solutions to your customers with referral, reseller, and OEM options. ColumbiaSoft works with business partners to provide intelligent document management solutions across a range of industries. If your customers are in need of document management, Contact Us to learn about the great opportunities of doing business with ColumbiaSoft! If you have customers that need document management and your area of business is not directly related to software or managing information, our referral program offers recurring benefits may be the perfect fit. You make an introduction, and we’ll assist your customer with the best solution and provide ongoing support. If you have customers that need document management and your firm has experience with software sales and technical support, then a reseller arrangement may be ideal. Resellers offer Document Locator in conjunction with their own technology to bring innovative solutions to market. You maintain a working relationship with the customer throughout the implementation and support lifecycle. If you would like to incorporate document management technology inside your own software application, our document management OEM program is a consideration. 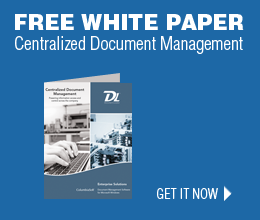 An OEM agreement accelerates time-to-market and allows you to deploy document management inside your existing software at a fraction of the cost of development. Document Locator can power your application with document management and collaboration tools that expand on your own solution’s capabilities.